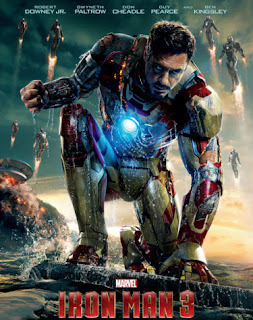 TV5 is giving you the chance to win five tickets to the special screening of Iron Man 3 on Sunday, April 28 at Cinema 7 of Trinoma Mall in Quezon City. All you have to do is switch your TV sets to Sine Ko 5ingko every night this week starting at 8PM and stay tuned to the Sine Ko 5ingko Watch N Win Promo. To register, just text: SINEKO5 REG to 5656. Tune in to the featured movies this week and answer the Question of The Day correctly. An action-packed week awaits viewers in the special Marvel week on Sine Ko 5ingko. Tonight will feature Iron Man 2's free TV premiere in the Philippines while the Incredible Hulk will rampage through TV screens on Wednesday. The Fantastic Four will battle a threat from outer space in Fantastic Four: The Rise of the Silver Surfer on Thursday and the world's most popular mutant trilogy reaches an exciting climax in X-Men: The Last Stand. On Saturday, Frank Castle wages a one-man war against a mob boss in Punisher: War Zone at 4:30PM. And the special Marvel marathon caps off with Spider-Man 3 on Sunday night at 8:30PM.